Max Curfew is a freelance operative. 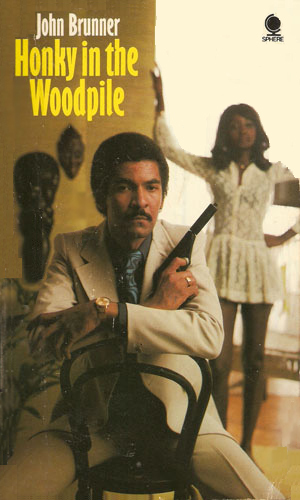 A Jamaican man of action, Curfew is a former undercover agent who remembers the moves and can still do them. The question arises for whom is he doing them, of course. For a while it was the Russians. Then it was the Brits. Now it's for himself, although even so he wonders about being manipulated. Being manipulated is something that really bothers Curfew. Curfew was born and raised in the slums of Jamaica, learning how to survive when the odds were against you and there was little to look forward to. He had a knack for taking care of himself and a great skill at languages so there was a lot of potential in the angry young man. The Russians saw it first and trained him. A black man working for the Communists had so many places he would help; Africa, Central America, many parts of Europe, and, of course, North America. But he quickly became disenchanted with the East, seeing them different but no better. So he left. The Russians didn't appreciate his leaving and would like to talk seriously with him about it but leave he did. Then the British Intelligence community gave him a try but he didn't dance exactly to their tune, either. He wasn't as disappointed in them, having little expectations going in. As the series begins, he is on his own, working in a translating job to pay the bills and barely getting by. He has no real interest in sticking his nose into other people's business. It just gets pushed there. Of course, Curfew really dislikes being pushed by anyone or anything. Max Curfew was upset to hear that his old friend, a leader in a burgeoning country in Africa, was dead, possibly of suicide. Not believing that for a moment, he was determined to go there to find out what really happened and to make pay those at fault. In Italy for the first time, Max Curfew sees a new friend killed by a powerful Greek and swears vengeance. To get it, he has to travel to Greece and take on the right-wing junta in charge, paying a tremendous price for his justice. It started with stopping a small gang of skinheads from beating a black man, who happened to be the head of a West Indies country in exile. This leads to Max Curfew being asked to go there in pursuit of a traitor to their liberation movement. 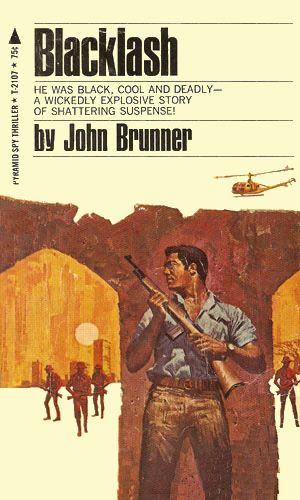 John Brunner was considered on the science fiction's premiere writers. His prose is superb. His pacing dramatic and often intense - certainly never boring. His characters come alive on the page. All the ingredients for a great writer. But his anger always struck me as too dominant to make his books a pleasure to read. Whatever else might be said about them, I read a book for pleasure. I'm not out to make myself a better person and I don't want to walk a mile in someone else's shoes. And this much anger keeps me from having a pleasurable time. Shame, really. 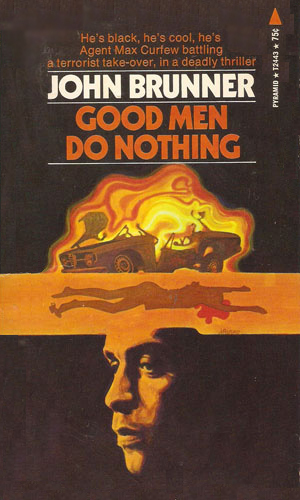 Mr. Brunner was a heckuva writer.